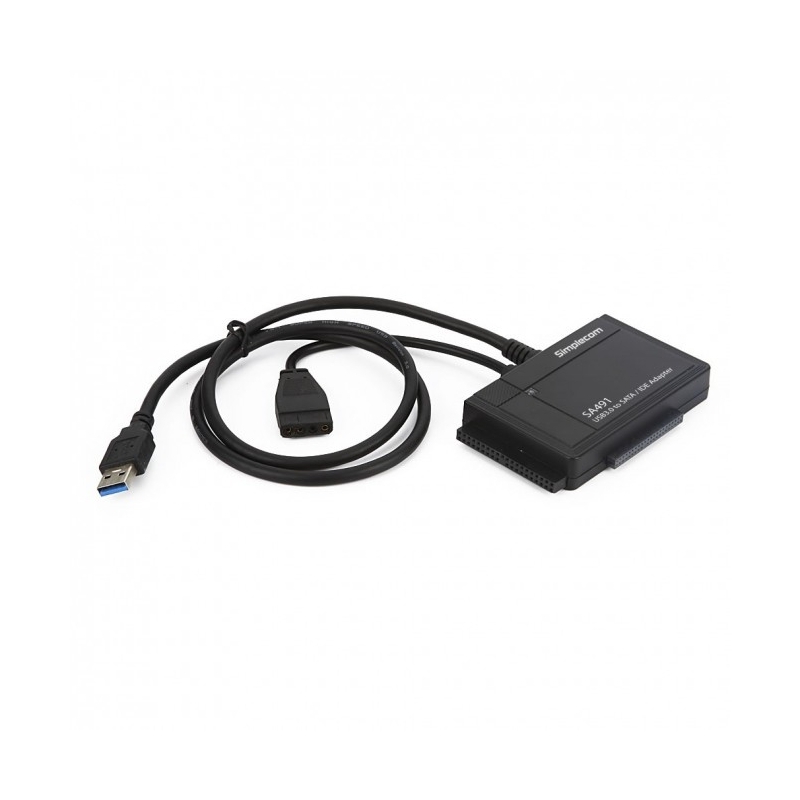 Connect any Notebook 2.5" or Desktop 3.5"/5.25" Serial ATA/SATA or IDE/PATA Hard Drive externally to your computer through an available USB 3.0 or USB 2.0 port. 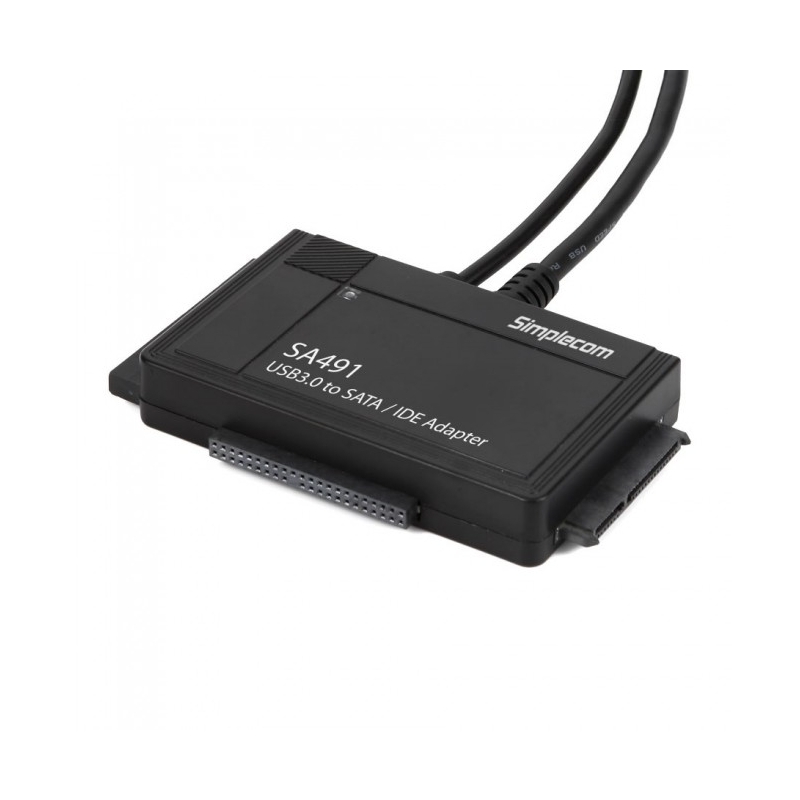 The SA391 USB IDE/SATA Adapter is a caseless solution that makes swapping hard drives easier than ever before. 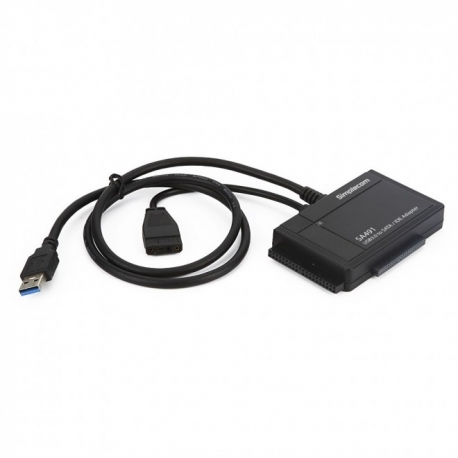 Transfer data quickly and easily through USB 3.0 at speeds of up to 5Gbps, up to 10x faster than USB 2.0. 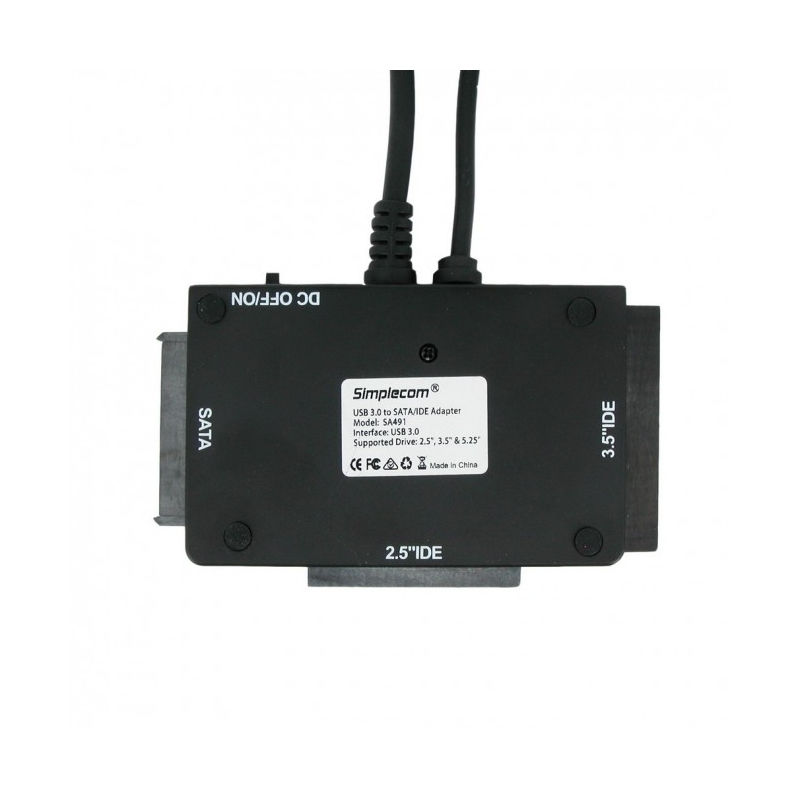 Installation is simple and driverless, and blue LED lights indicate activity to confirm data transfer. 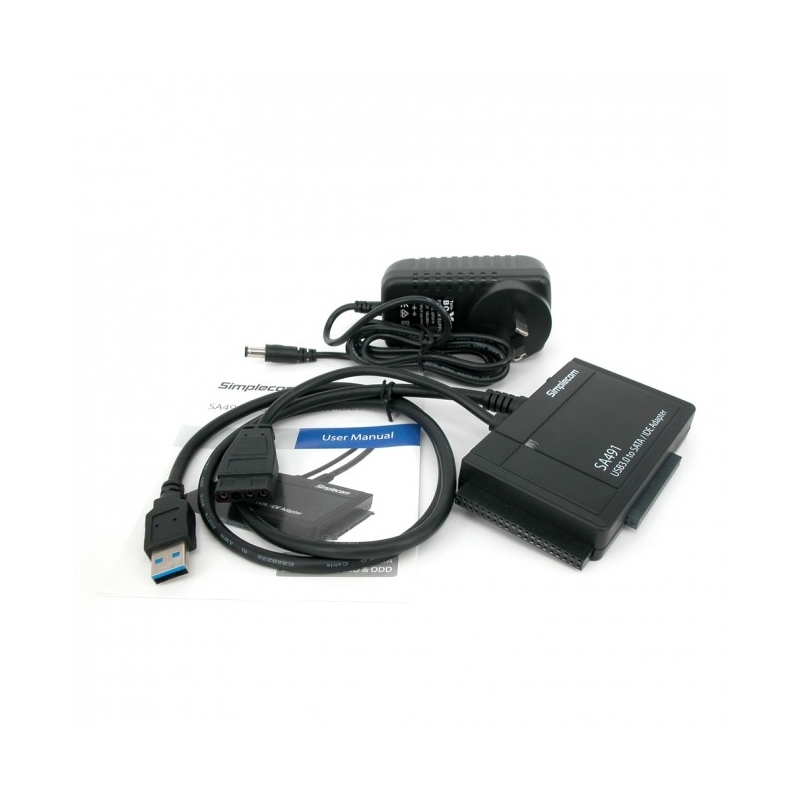 One solution for all types of hard drives make this a perfect solution for data transfers or data backup.